A confluence of technological, computational and legislative advances have put us on the horizon of an exciting time in biomedical research and healthcare, with increasingly blurred boundaries between the two. Advances in experimental technologies enable observation across tens of thousands of molecules at a time. Pervasive mobile devices and an ever-expanding landscape of activity and health-related apps are generating terabytes of data outside of traditional clinical care providers. Advances in computational power and parallel computing facilitate the analysis and interpretation of these diverse streams of data. And an evolving legislative landscape has led to the rapid uptake of electronic health record (EHR) technology nation-wide, as well as complex and ever-changing laws regarding how EHR data may be used and exchanged for clinical care, quality improvement, and secondary research. This talk will describe key advances in these areas, examples of how some of these advances have affected clinical guidelines and actual patients. It will also describe early work in mining EHR data to enable a precision medicine approach to mental illness. The speaker will conclude by discussing how these advances are helping to realize the vision of precision medicine- redefining disease to enable the right intervention for the right person at the right time. 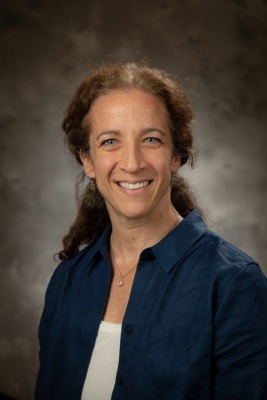 Bio Dr. Tenenbaum is a faculty member in the Division of Translational Biomedical Informatics in the Department of Biostatistics and Bioinformatics at Duke University . Her primary research interests are 1. Informatics to enable precision medicine; 2. Mental health informatics; 3. Infrastructure and standards to enable research collaboration and integrative data analysis; and 4. Ethical, legal, and social issues that arise in translational research, direct to consumer genetic testing, and data sharing. Current research projects focus on analyzing electronic health record data to better understand mental illness, target resource allocation, guide treatment, and develop targeted therapeutic interventions. Nationally, Dr. Tenenbaum plays a leadership role in the American Medical Informatics Association, serving as Chair of the Mental Health Informatics Working Group and as an elected member of the Board of Directors. She is an Associate Editor for the Journal of Biomedical Informatics and served on the advisory panel for Nature Publishing Group’s Scientific Data initiative. After earning her bachelor’s degree in biology from Harvard, Dr. Tenenbaum worked as a program manager at Microsoft Corporation in Redmond, WA for six years before pursuing a PhD in biomedical informatics at Stanford University.